I picked up this oak chair ages ago with the intentions of redoing it quickly. 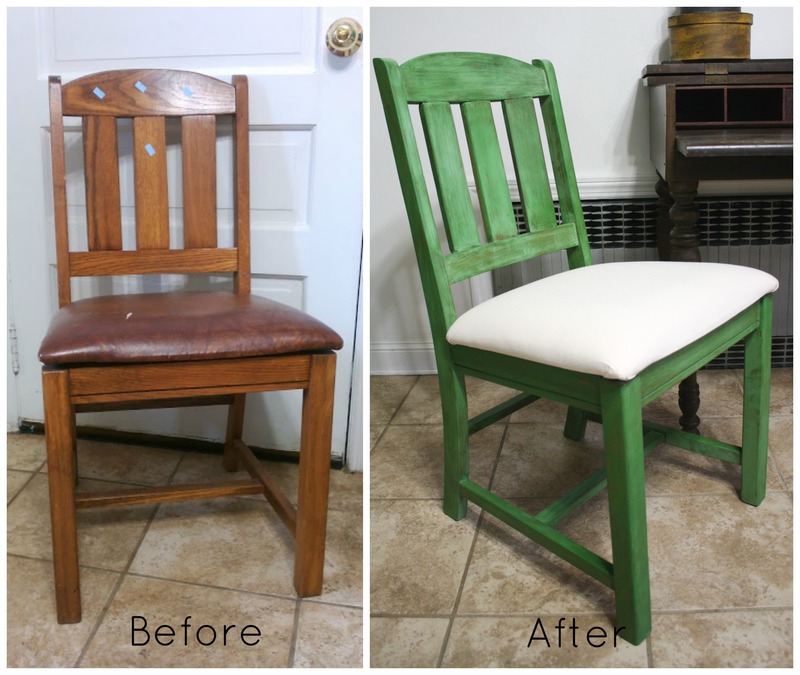 I recovered the seat with muslin, gave the wood a quick sanding and then stopped. For a long time. Finally the other day, I pulled it out and gave it the attention it deserved! It was in great shape – solid and clean – just boring, and that seat had to GO! 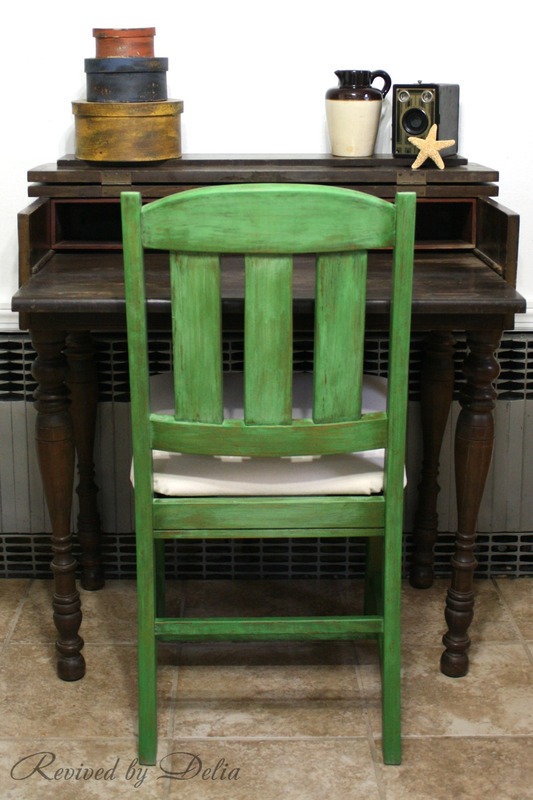 I had picked up a package of Tavern Green Milk Paint (by The Old Fashioned Milk Paint Company), mixed it up and painted it on. I was hoping for a bit more chipping but I it stuck pretty good due to my sanding. I love how it turned out – the green has so much depth – it’s not just one flat shade of green. Then I sealed it with a coat of clear wax and it’s good to go – off to Rebecca Christine’s Consignment Boutique! The seat looks a little stark, and moreso in the pictures. I’m debating on adding green “grainsack” stripes… what do you think? 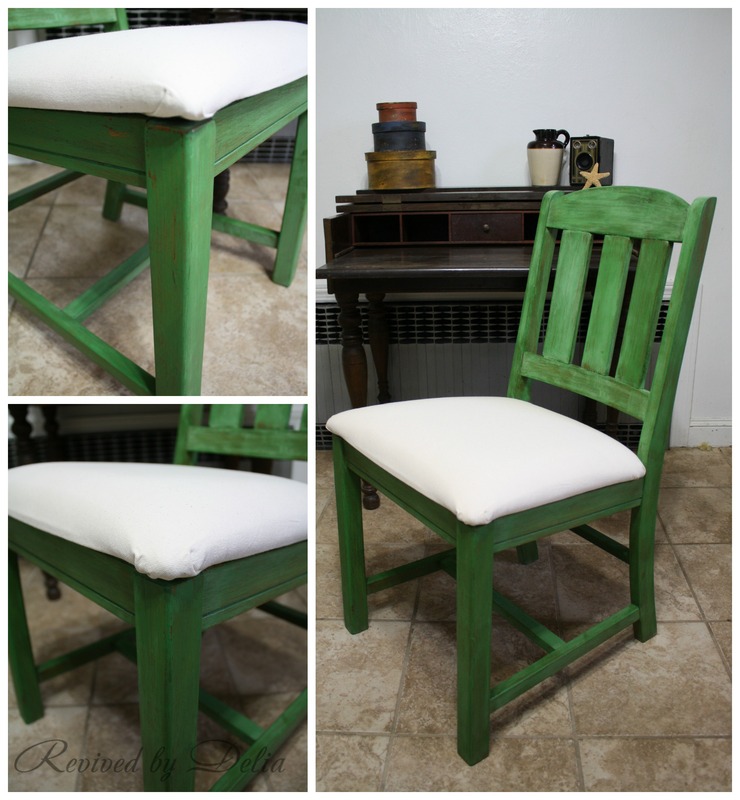 If you would like to keep up with future furniture revivals, there are many ways to follow on the right! Happy to have you! Nice makeover. 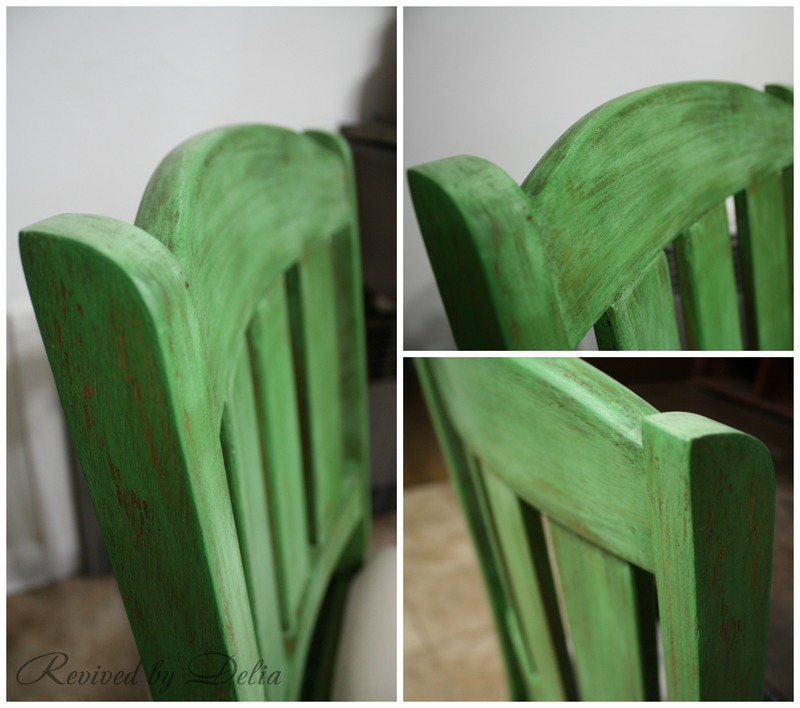 I love the effect of the milk paint and the green you chose. Thanks Sandy – I tend to agree! Hi! Well. ..My vote is definitely with the grain sack stripe….If you want an example, I did one not long ago on the seat of a chair…come for a visit and check it out if you like! thecuratorscollection.com Lovely color! 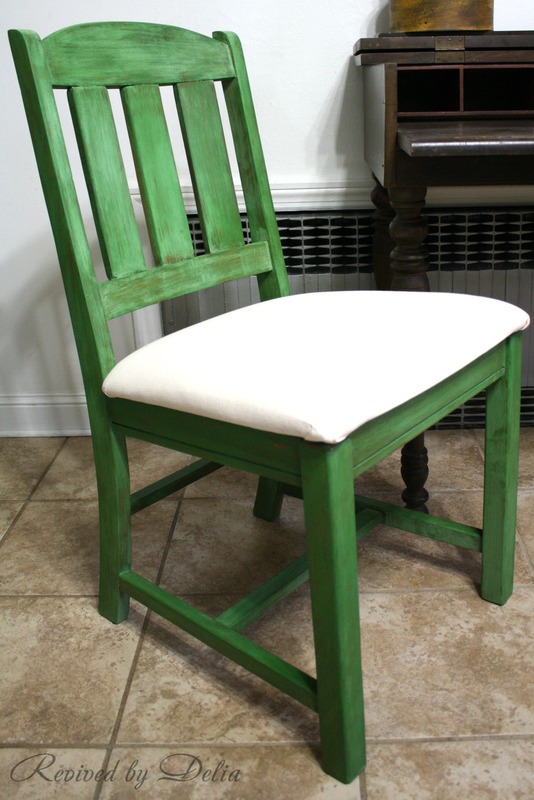 Thank you so much Terry – I love your chair! The green looks great with that desk! I just popped over here from Redoux. I love the Tavern Green on the chair. I think grainsack stripes would look great; maybe a slightly faded green color for the stripe?